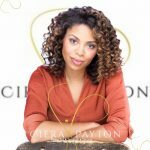 Free 3×05 Review: An Ominous Workout! We finally spend some time with the Iwatobi and Samezuka boys in “An Ominous Workout!” as the two schools hold a joint training camp. 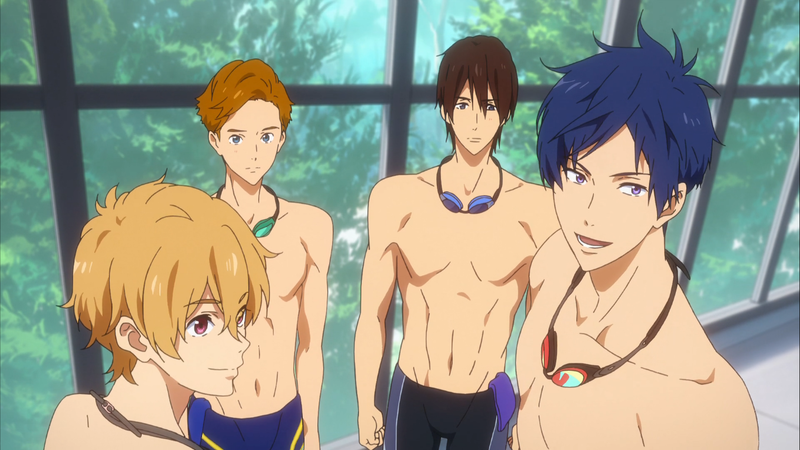 “An Ominous Workout!” goes a long way towards making up for the lack of Nagisa and Rei so far in Free! Dive to the Future. Other than a couple of scenes with Makoto and a brief scene of Haru remembering Hiyori’s hurtful statement to him in last week’s episode, the entirety of this episode focuses on the training camp. The new Iwatobi boys get some backstory, Natsuya and Sosuke meet again, and we get to see our darling boys in action as captains. As much as I would die for Haru and Makoto, I really enjoyed this episode. I think I liked it so much because it felt like old school Free!. One of the team members had an issue – in this case, Romio with his false start phobia – that the team banded together to solve. With Haru and Makoto in university, it loses some of its charm. 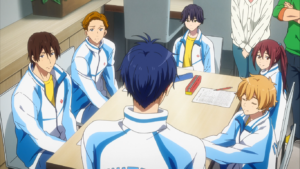 Haru, Makoto, Asahi, and Kisumi aren’t focused on each other and their friendship as much as they are on Ikuya, and I miss the little moments like Haru and Makoto sharing a popsicle or everyone eating lunch together. The small instances of character building in developing the new Iwatobi members – Shizuku’s family owns a seafood restaurant, Romio spent time in New York and Florida, Ayumu’s family curry recipe – are a welcome change from the plot-focused university storyline. Romio had more depth in this episode that I think some characters have ever had. I’m glad they gave us this episode so that I could learn to love the new Iwatobi members; I kind of wish we’d gotten it sooner but beggars can’t be choosers. I also loved Coach Sosuke in “An Ominous Workout!” In the same way he helped Aiichiro with his breaststroke technique, he is able to help Romio with his false start problem. With all of the drama of the past few episodes, it’s nice to be reminded that Free! is about swimmers. And of course, I loved everything about Natsuya. I wonder if he and Sosuke realize they were both talking about Rin. 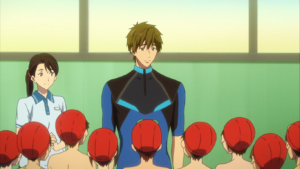 It looks like my theory from last week that Makoto would end up being the new swimming coach was proven true. Also, it looks as though this is how they’re finally going to properly reintroduce Nao! 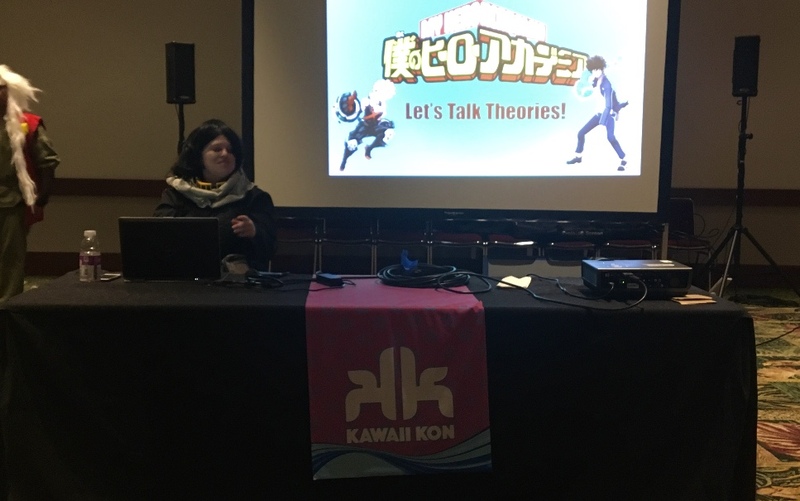 If you saw Take Your Marks, you would have known that Nao was Misaki’s old coach, but it honestly didn’t occur to me – especially after his first scene in Dive to the Future had to do Natsuya – that they would choose that route to bring him into the story. Well, say what you want about Momo, but at least the boy is loyal. I like the continuity from Take Your Marks with Amakata-sensei’s terrible driving. It looks like next week is going to be more Ikuya and Hiyori flashbacks, which is a little disappointing because episode 6 is usually a MakoHaru episode. Next: Riverdale Season 2 DVD Review – All The Cheryl and Toni Deleted Scenes!